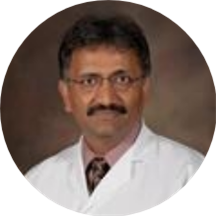 Dr. Ajay Mangal is a devoted ear, nose, and throat doctor practicing at Lake Wales Medical Center- ENT. Dr. Mangal earned his medical degree from the University of Iowa. Subsequently, he completed his residency at the University of Cincinnati Medical Center. Dr. Mangal is certified by the American Board of Otolaryngology. He serves the community of Lake Wales, FL. He is committed to making each patient’s experience at the clinic as comfortable and effective as possible. Dr. Mangal is passionate about providing individualized care and educating his patients about their health. He is a strong believer in engaging in the process of well-being and development of patients in an efficient and effective manner. He understood my health concerns accurately and treated them effectively. I love my doctor and the people who work for him. I like Dr. Mangal very much. He takes care of my problem right away and I appreciate that. Everyone here was great. Awsome team. Staff friendly. Speedy service. AWESOME!!! April explained everything very well to my son and so did Dr. Mangal. Eased his fears of having his nose cauterized =). Dr. Ajay Mangal, MD has no appointments on Zocdoc right now.